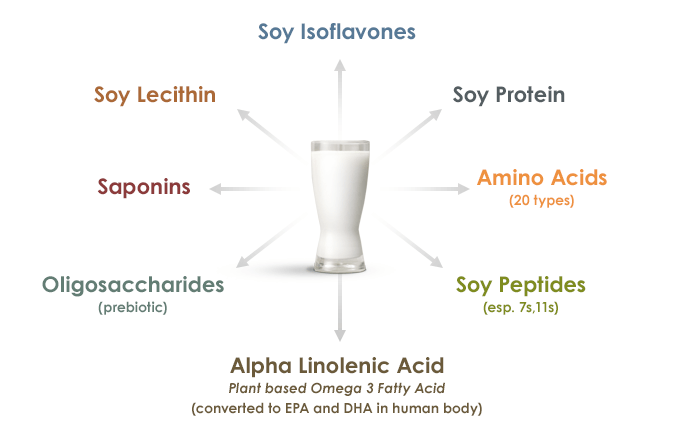 Anti-Inflammatory Nutrition… EnerFlex® is the Power to Live! At most of times, healthcare practitioners tend to forget the fundamental of good health is by looking at the efficiency of food digestion, absorption of food nutrition and disposal of toxic waste. Majority of them have gone too far as attracted by health food supplements in capsules and tablets form mostly driven by marketing and advertisements. In fact, human genes of today and 6 million years ago are still the same. Our body just needs balanced macro nutrients such as protein, carbohydrate, fatty acids, trace amount of essential vitamins and essential minerals in addition to sufficient rest, water and dietary fibres from fruits and vegetables. 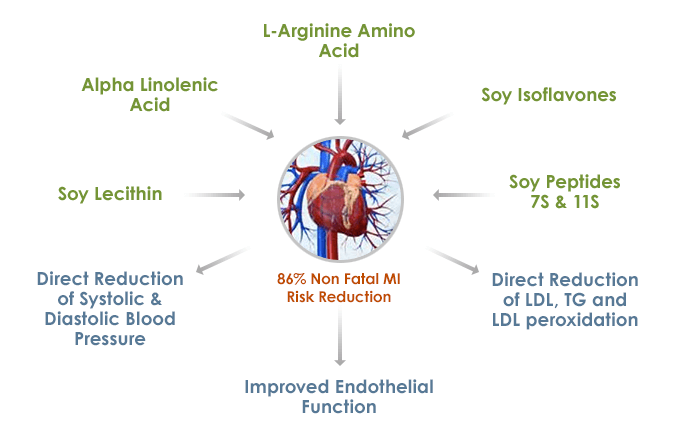 The secret for longevity and prevention of chronic diseases is to add EnerFlex® Nutrition into your daily life regardless of a person has been taking some forms of food supplements or chronic medications. EnerFlex® will add more energy to your cells in addition to detoxify, reduce cellular inflammation, regulate imbalance hormonal system, restore balanced central nervous system and rejuvenate all vital organs for optimum health. 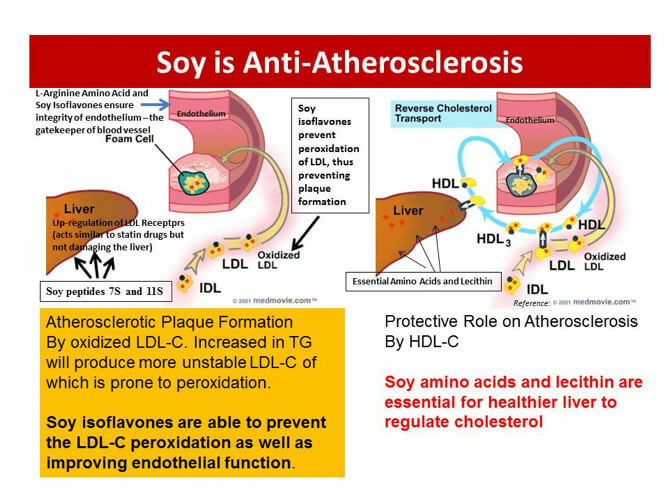 We develop chronic diseases because we have ignored the building blocks (essential amino acids and fatty acids) in our daily diet for a long period. You can be rest assured that with EnerFlex® daily, you will see a great different in your healthcare plan! EnerFlex® was developed by nutritionist, Mr. Kim Lin-Keong in 1992 with the objective to find a cure for his chronic asthma of which he had been suffering since his age at 7. The 1st formula was on trial for 7 years yet failed to find a cure for his asthma. Until 19 November 1999, Mr. Kim made a change in the formulation using the same raw materials, and on 5th December 1999, he was totally free from asthma attacks till now. 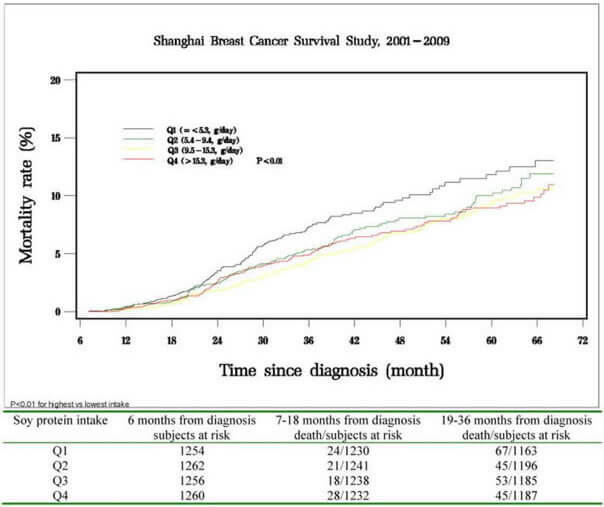 EnerFlex® probably is the first soy formula in the world that successfully cured chronic asthma in adult. "The exact mechanisms on how EnerFlex® worked for his asthma cure was unclear, but one thing for sure, unlike other soy products, EnerFlex® seems able to neutralize stomach hyperacidity, improves healthy bowel movements, detoxifies and rejuvenates tissues (especially gastrointestinal tract and liver) and may be with some form of anti-inflammatory, modulation of sympathetic and parasympathetic nervous system and prebiotic properties." In 2002, the answers revealed. First, by coincidence, EnerFlex® is a Zone-Favourable Diet (Protein to Carbohydrate Ratio between 0.6 – 1.0) formula in line with Dr.Barry Sears’s dietary on hormonal response - The Zone Diet. According to Dr. Barry Sears, Zone Diet is a real physiological condition in your body where cellular inflammation is controlled — not too low that you can’t fight off infection, but not too high where the body begins to attack itself. Dr. Barry Sears (Date of Birth: June, 1947). Mr. Kim Lin-Keong (Born January, 1966). Place of Birth: Alor Setar, Kedah, Malaysia. 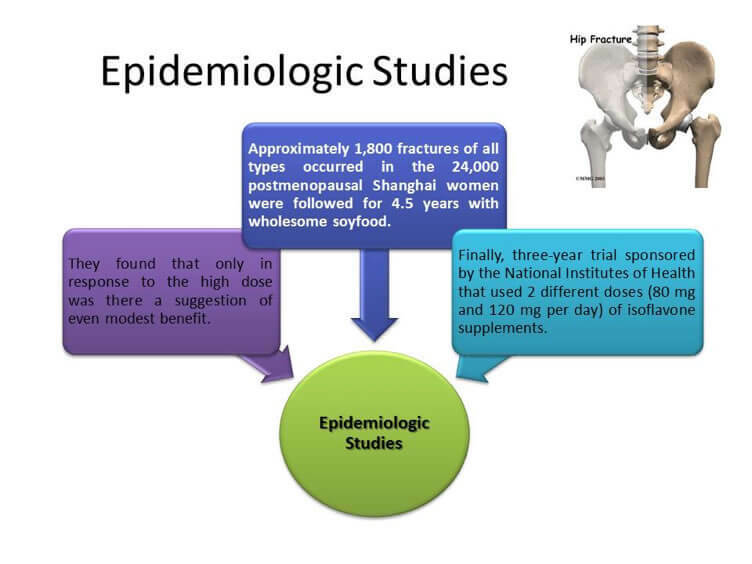 Lifetime interests: Effect of functional soy and Zone-Diet in alleviating chronic diseases since 1992. Dr. Barry Sears (Born June, 1947). 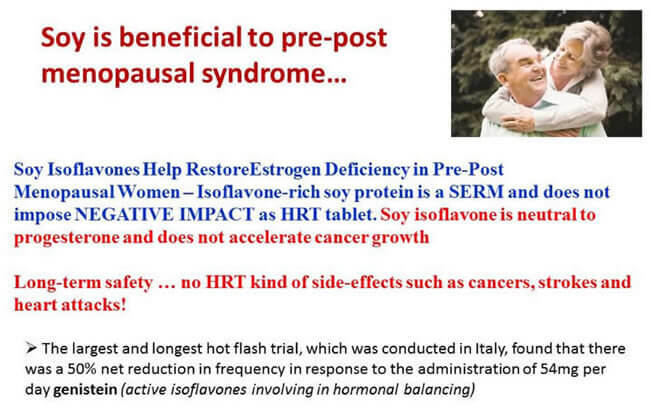 The structure of isoflavones is not exactly the same as estrogen, so isoflavones are not estrogen. 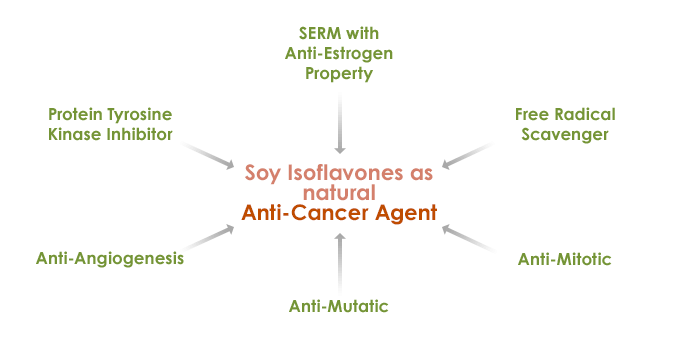 However, the isoflavone structure has important similarities to estrogen. 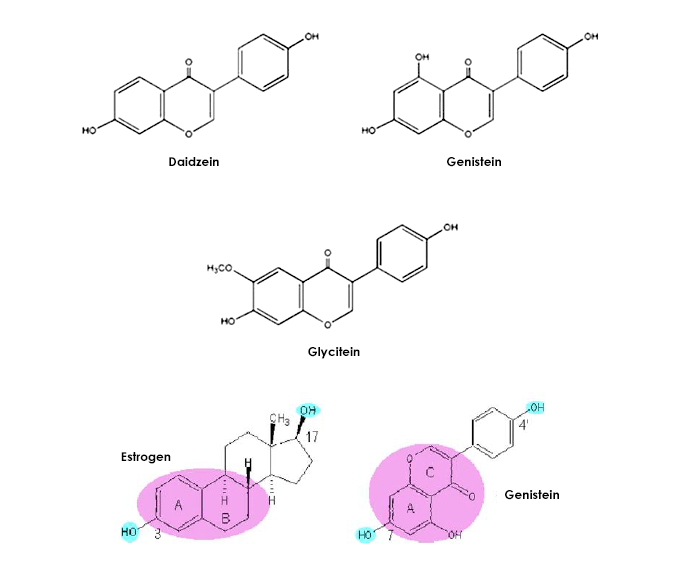 These similarities allow isoflavones to bind to estrogen receptors in our estrogen-responsive cells. 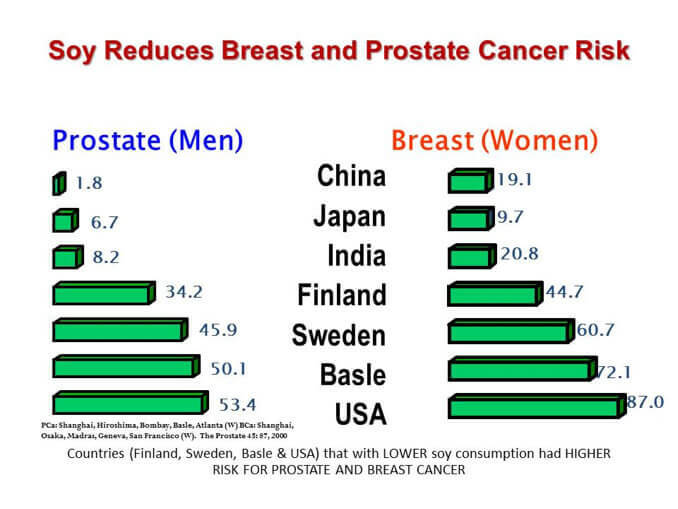 Natural Isoflavones from wholesome and natural soy seems to produce more health benefits than then Isolated Isoflavones or Isoflavones extracts. 600mg of Isoflavones Extract is providing the equal potency of 1 tablet of estradiol hormone pill. 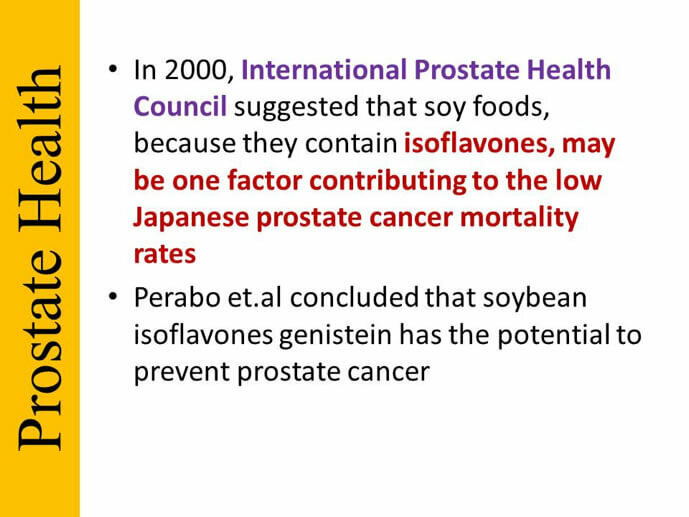 On an average, daily intake of 25 -55mg of soy isoflavones seems to be cancer protective as proposed by American Cancer Research Institute. 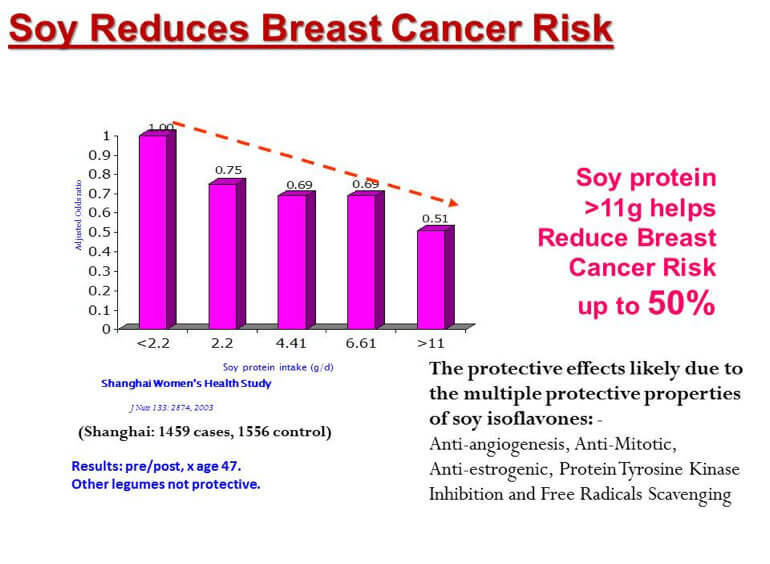 Thus, in the context of soy isoflavones, it does not mean the more is better especially in the risk of breast cancer development. Moderation is still the best option when practicing holistic health. 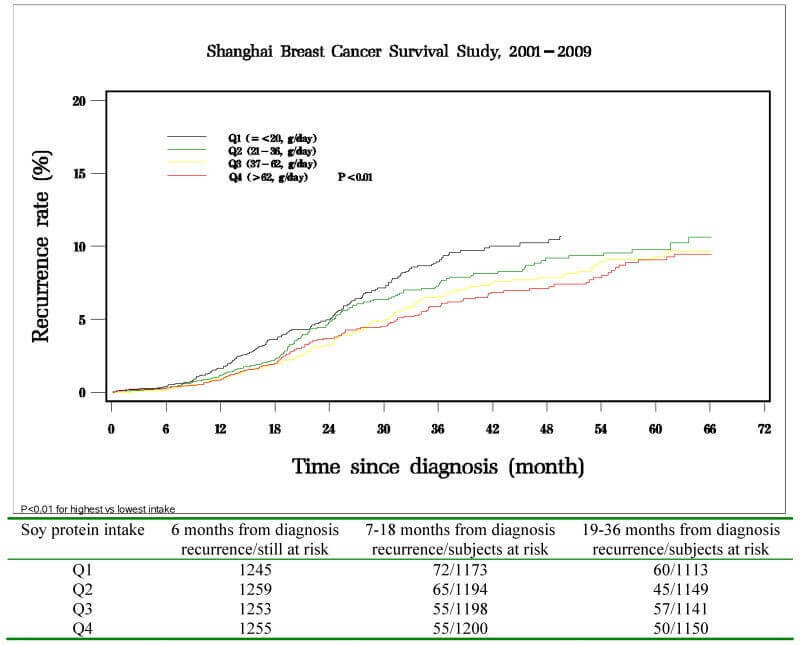 Double-edged sword SERM with both anti-estrogenic (anti-cancer, binding to Estrogen Beta Receptor) and pro-estrogenic (binding to Estrogen Alpha Receptor for menopausal syndrome relief) properties. 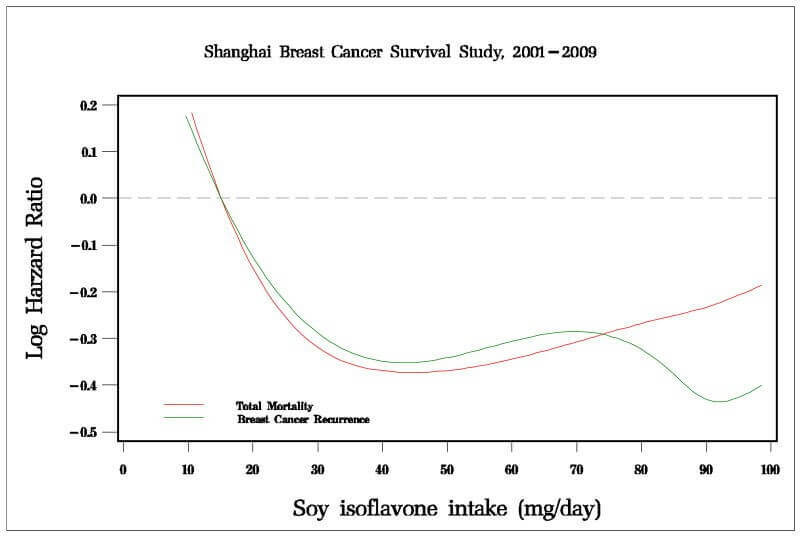 However, the potency of Soy Isoflavone binding to Alpha Receptor is only 1/1000 of the effect of estrogen. 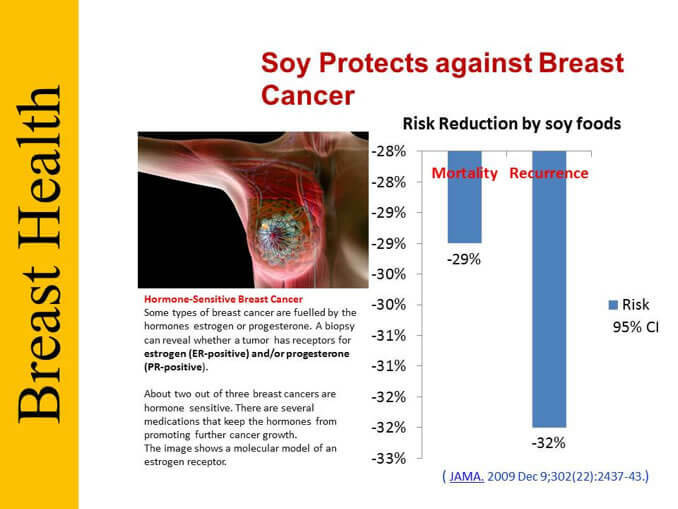 SERM Soy Isoflavones has no effect on human progesterone. 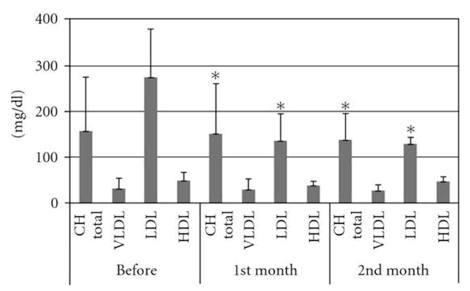 The results showed a reduction of 40.66% and 42.00% in total cholesterol and of 42.05% and 56.15% in LDL cholesterol after treatment for one and two months, respectively. 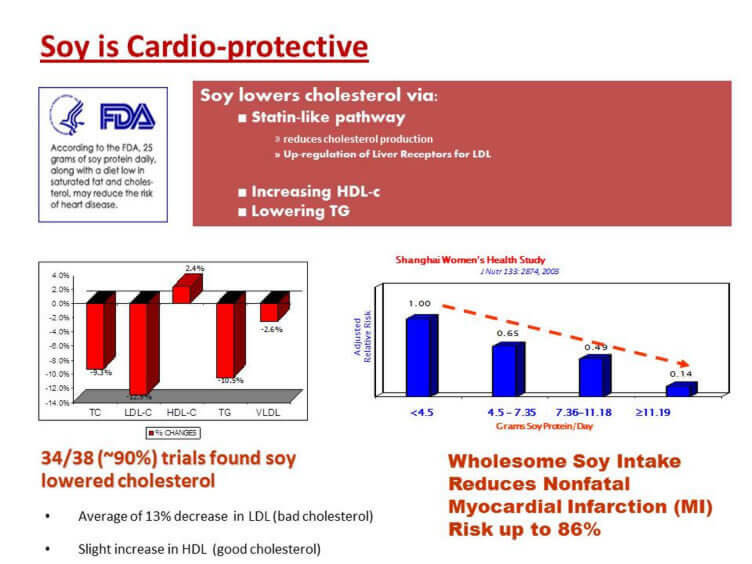 This indicates wholesome soy is a good source of lecithin to help fight cholesterol disorder without any side effect. 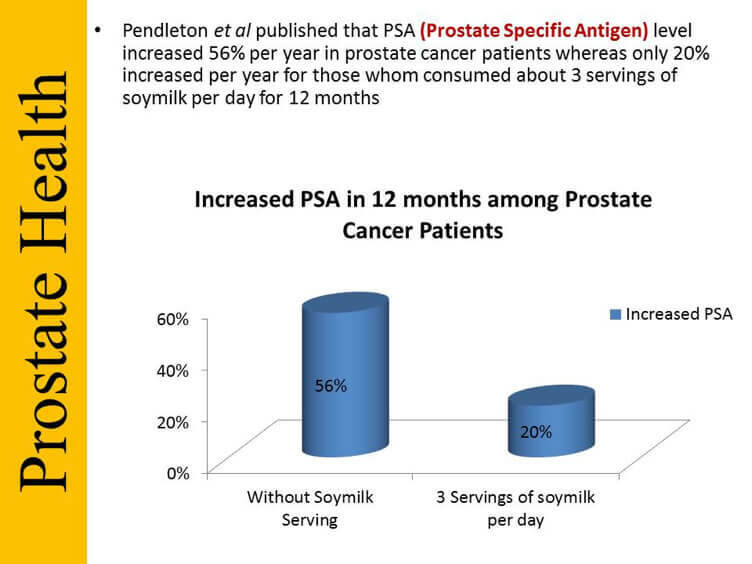 All ingredients are carefully selected to ensure expected clinical outcomes are achieved. You may visit our Product page for more formulations variant to get the one that suits your healthcare needs. 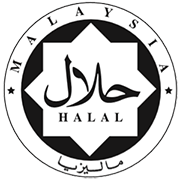 All products are produced in compliance with European Quality Management System (ISO9001: UKAS, UK) and European International Food Safety System (RvA HACCP, Netherlands). The compliance is periodically audited by Llyold’s Register Quality Assurance (UK). 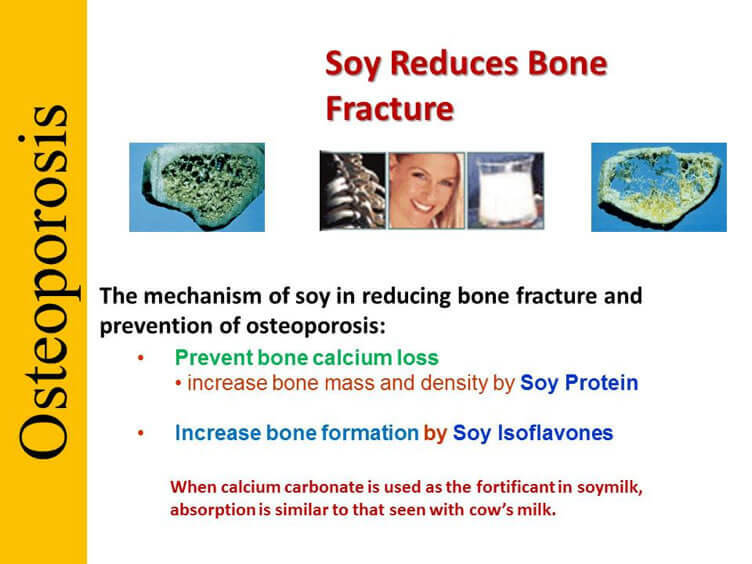 The healing process of which being mistaken as product side effects by medical practitioners will only take place when the body is supplied and nourished with the right and balanced functional nutrition. Otherwise, nothing will happen even though nutritional supplements are ingested by the body could be due to a Placebo Effect simply the cells fail to rejuvenate and detoxify effectively. However, if the user is already at optimum health nothing will happen. 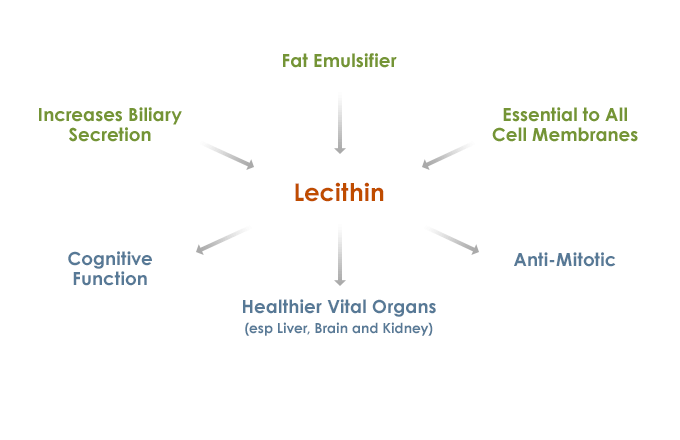 Further enhancing optimum health will then lead to anti-aging process. Healing Reactions is to restore healthy cells, toxin clean-up process. 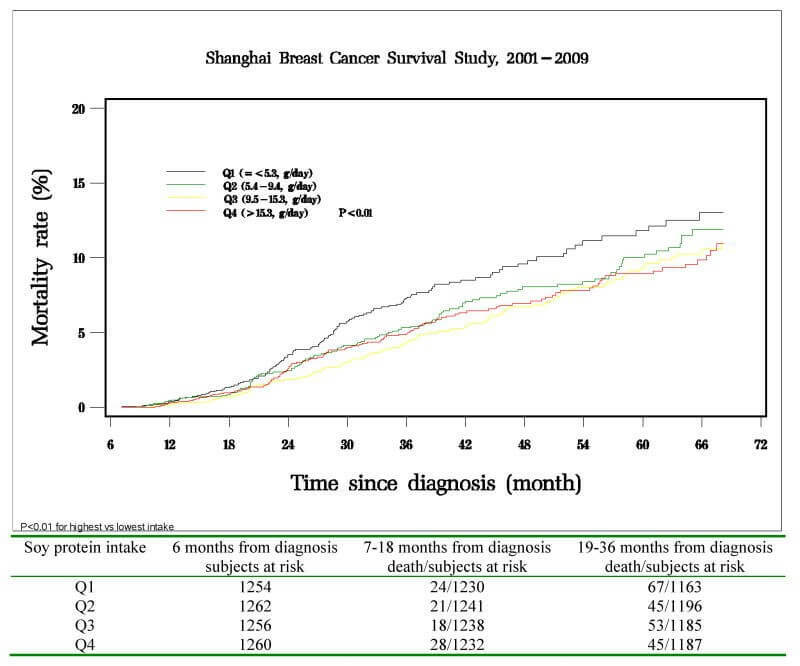 Cumulative old suffering, to the status quo, the status quo retreat. For example, some previous symptoms such as rash, acne, joint pain, stomach upset, diarrhea, proteinuria, fatigue, irregular heart beat, sore throat, mild fever colds, phlegm, increased frequency of urination, will be reproduced of which may be maintained for a few days to a few weeks before normalization. In conclusion, people with chronic diseases will experience the healing process, which may make him / her discomfort before getting better. Need not to be over worry.